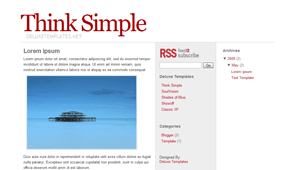 Just go to author's site to get this simple but professional looks template. knapa g punyamu, n hruz dr situs laen? sangar bong, templatemu sunggh membuat aku kepingin ganti template juga..
im using a supported template! have a look: http://passby-shooting123.blogspot.com. Thank you! Few months before i downloaded one template from your website. I have uploaded that in my blog but instead of showing date it shows "UNDEFINED", It disturbs my templates. Please give me the sollution. @raja: suggest you read instruction. whats up cebong? nice to be here. wow new template. :) regards. @anna: hehhehe thats not mine, im still busy with my work, hope this week can release new template...thx vo visiting, how about your college? where to read the instruction. I searched everywhere in the site but im not able to find. Wonderful template! this website is simply super. saya mau pake template yg 2plus tapi habis diupload kok malah ada tulisan "Your template could not be parsed as it is not well-formed. Please make sure that all XML elements are closed properly. XML error message: Content is not allowed in prolog." itu ntar diapain biar templatenya bisa tampil? 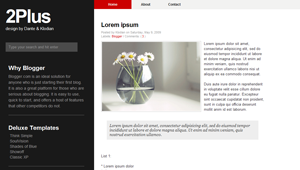 More Blogger Templates : www.template4all.com and Free Blogger Templates That gona be helpful! !